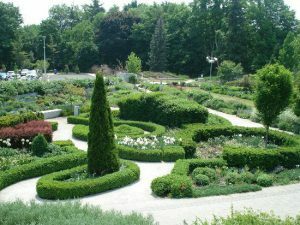 Sunnybrook Farm was once the 154-hectare estate of Joseph Kilgour, a local manufacturer of paper products who fancied himself an English country gent. The houses that can be seen throughout the park belonged to Kilgour’s rambling farm and stable complex: one was for the staff of the cattle barn (featuring a handy ensuite abattoir), another housed the facility’s general manager, and a third belonged to the groundskeeper and overseer of the hounds (English-style hunts being de rigueur for ersatz lords of the manor in those days). Today, all of the buildings are leased from the city and occupied by staff of the Sunnybrook Stables, who carry on the site’s traditions. 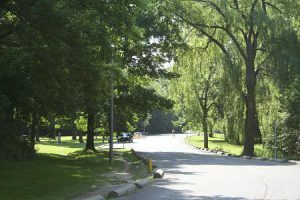 Today, Sunnybrook Park is open to the public year-round and is visited by many people who like to enjoy the outdoors or may just be looking for a quiet place to relax. In the summer, visitors often gather to host a barbeque or to do some horseback riding at the stables deep within the park. During the winter, kids can be seen tobogganing on the hillside just as you enter the park.